Indianapolis, IN – Pick Your Own Pumpkin and More! It’s October 1st and fall weather is officially here in Indianapolis, IN and before we know it Halloween will be here. With October 31st just a few weekends away its time to start looking for that perfect pumpkin and to get in all those fun fall activities. 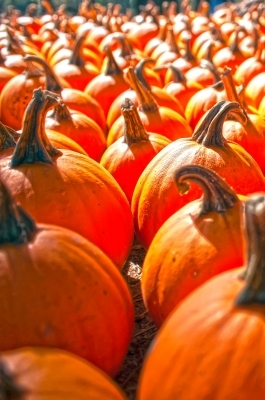 Whether you will turn it into a jack-o-lantern or create an artful display for your home, pumpkins are an essential component to any fall decoration in your Indianapolis, IN home. To make things easy for you, here is a list of some of the top farms for your pumpkin hunt and some other Halloween fun! Waterman’s Family Farm. Featuring pumpkins, fall harvest, rides for the kids, and more, it has fall fun for the whole family. Waterman’s Family Farm is located at 7010 E. Raymond Street, Indianapolis and is open daily for their Fall Harvest Festival, 9am-6pm. Tuttle Orchards. Located just 21 miles east of Indianapolis, Tuttle Orchards remains a favorite, year after year. The farm features eight acres of pick your own pumpkins, farm animals, hayrides, a corn maze, and a kid’s play area. 5717 N 300 W, Greenfield, IN. Beasley’s Orchard. Beasley’s Orchard has activities for all ages, including a corn maze, hay rides, pumpkin patch, live entertainment, wine tastings, an apple orchard, and more. There are plenty of baked goods to satisfy your sweet tooth in their market and bakery. Open weekends in October, they are located about 17 miles west of Indianapolis, at 2304 East Main Street, Danville, IN. We hope you enjoy this beautiful fall season and are able to get out and support some of these local farms. Please know, an Indianapolis, IN real estate agent is only a click away if you have any Indianapolis, IN real estate needs. We look forward to hearing from you soon!